Emerging Western Australian gold company, EganStreet Resources Limited (ASX:EGA) today announced that it has secured a key approval from the WA Government — another important step towards development of its flagship 100%-owned Rothsay Gold Project. The WA Department of Mines, Industry Regulation and Safety (DMIRS) approved the Project Management Plan (PMP) for the Rothsay Project, which is the first of three key Government approvals required to allow construction activities and operations at Rothsay to commence. EGA has also submitted its Mining Proposal to the DMIRS. Once the Mining Proposal approval is received, the company will be able to start key works at Rothsay including construction of the camp and other key infrastructure including site offices and power station. The Works Approval and License Application documentation is in its final stages of preparation and will be submitted to the Department of Water and Environmental Regulation (DWER) shortly. The Rothsay Gold Project, located 300 kilometres north-east of Perth in WA’s Midwest region, hosts high-grade Mineral Resources of 401koz at an average grade of 8.8g/t gold (Indicated 820kt at 9.3g/t Au and Inferred 600kt at 8.0g/t Au) and a production target of 2.1Mt mined and 1.4Mt processed at 6.9g/t gold for 250koz of gold produced. The recently completed Definitive Feasibility Study (DFS) on Rothsay found that the project would be a low-cost, high-margin producer capable of delivering strong financial returns for shareholders. 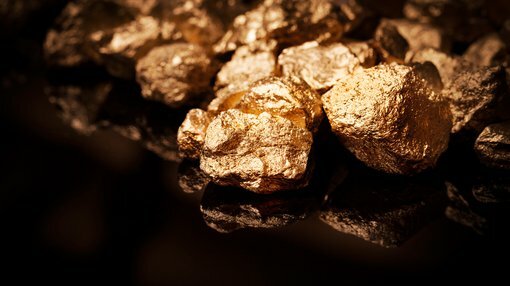 EganStreet Managing Director Marc Ducler said the Project Management Plan approval was a pivotal step in the EGA’s strategy to become an Australian gold producer. “We have already submitted our Mining Proposal and we are well advanced in project funding discussions,” Mr Ducler said. Over the longer term, EganStreet’s plan to use the cash-flow generated by an initial mining operation at Rothsay to target extensions of the main deposit and explore the surrounding tenements, which include a 14 kilometre strike length of highly prospective and virtually unexplored stratigraphy. It should be noted that EGA is an early stage play and anything can happen, so seek professional financial advice if considering this stock for your portfolio.